Jennie Pearl is a facilitator, yoga teacher, and bodyworker bridging the gap between social justice and healing work. She is an anti-racist facilitator who offers trainings and workshops in yoga, wellness, and healing communities. She founded and facilitates Wake Up: a group for white-identified people who want to unlearn their racism, unpack their privilege, and untangle white supremacy from the inside out. They explore how yoga and meditation can help them wake up without spiritual bypassing or diminishing racial justice. 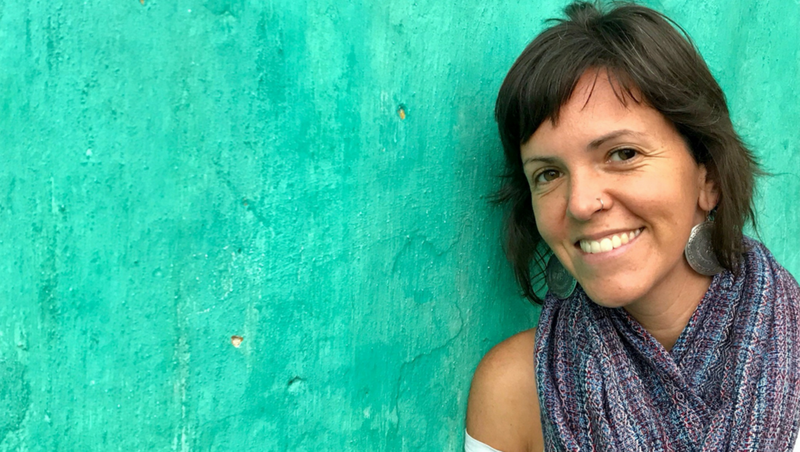 Jennie lives in the Bay Area where she teaches public yoga classes, leads groups, and offers massage in her private practice. Jennie is an anti-racist facilitator who specializes in working with white people in wellness, yoga, and healing communities. She offers her relational approach to groups in workshops, on-site trainings, and retreats. She also provides one-on-one individual attention in programming such as customized phone counseling. Known for her focus on alignment, therapeutics, and long term learning, Jennie’s teaching style is clear, direct, loving, and goofy. She has extensive experience teaching raw beginners, teens, seniors, and advanced practitioners. She offers public classes, privates, workshops, teacher training, series-based classes, and retreats. Massage with Jennie is therapeutic, thorough, and connective. Her treatments blend myofascial release, deep tissue, and cranial sacral therapy. She specializes in work with chronic pain, injury rehab, stress, anxiety, and trauma. Jennie is known for her ability to listen fully to the needs of her clients, creating a truly custom session that supports all aspects of being. Bodywork sessions and offerings to best fit your needs.